Apricot and almond crumble 0 out of 5 based on 0 ratings. 0 user reviews. Fresh fruit cakes, flans, or crumbles are my favourite desserts. I love the melting texture of cooked fruit, at times almost crystallized, mixed with the sweet and soft dough. The crumble, also called crisp in the US, is so easy and quick to prepare that it has become very popular all over the world. It can be done in many different ways, varying or mixing fruits and flavourings such as vanilla, lemon, cinnamon, etc. 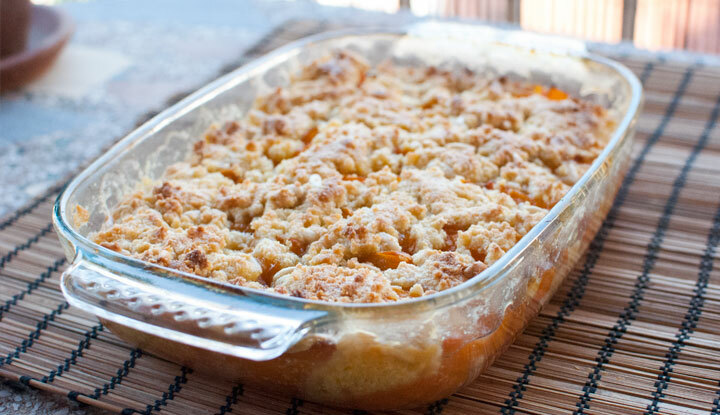 To prepare the apricot and almond crumble, line the bottom of a rectangular cake dish with the chopped apricots, cover with crumbs made of sugar, flour and butter, and ground almonds as well in this particular recipe. You can also incorporate some additional flavour such as vanilla, which combines well with apricots. 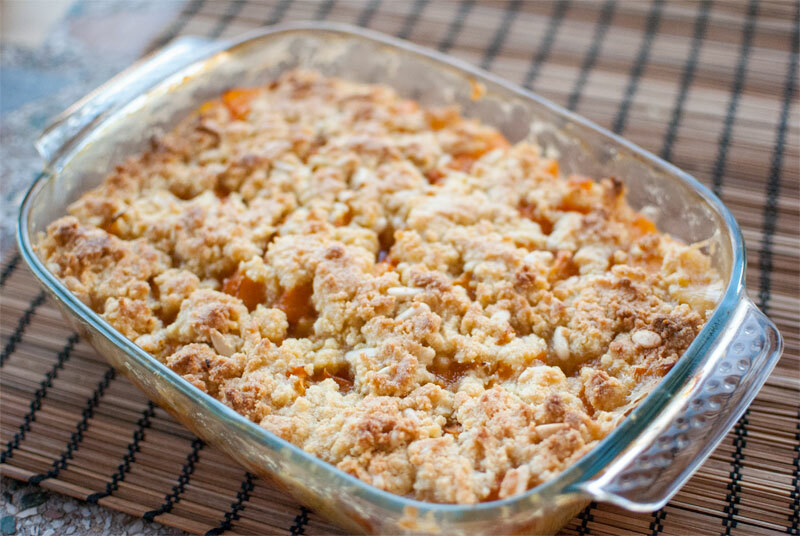 There is ground almonds and pine nuts in the crumbs, that make the apricot crumble fluffy and crispy at the same time. I like making two layers of apricot, with a layer of crumbs in between. When the crumbs melt during the cooking, they bundle the pieces of fruit together and make the crumble looks a cake or a fruit gratin. Yummy! You can add a vanilla pod to the crumb dough ; or the zest of a lemon, a teaspoon of cinnamon … you may choose your favourite flavour to make this cake yours. 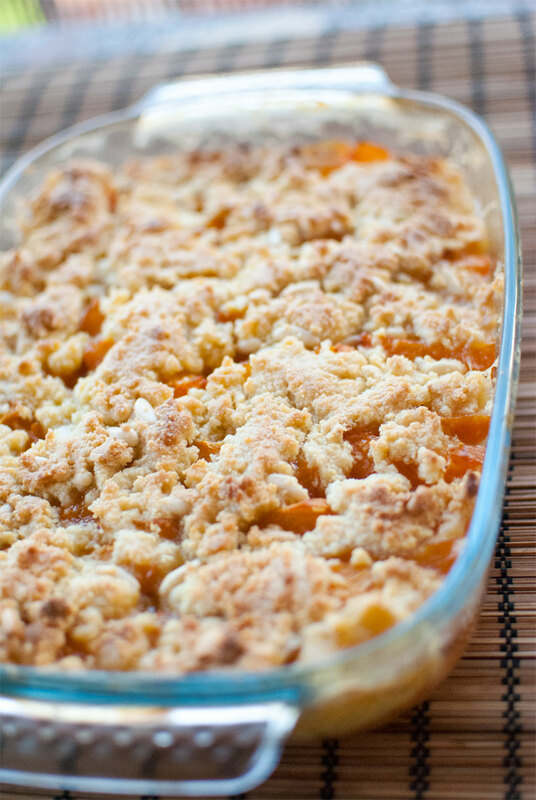 The apricot and almond crumble is even better if you let it sit overnight in the refrigerator … if you can resist! 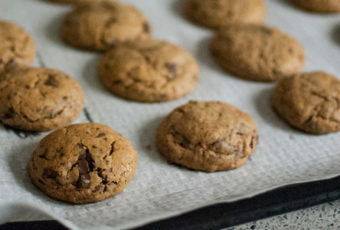 Preheat oven to 350ºF (180°C), in conventional mode (not the convection one). Line the bottom of the cake dish with a little bit of butter, cut the rest of it in small pieces and let soften. Clean the apricots with water, open them in 2 and remove the nut in the middle. Then quarter them and set aside. Mix the ground almonds, the flour, the sugar and the salt in a large bowl. Cut the vanilla pod in two lengthwise, scratch the internal part with a knife and add the seeds to the dry mixture. 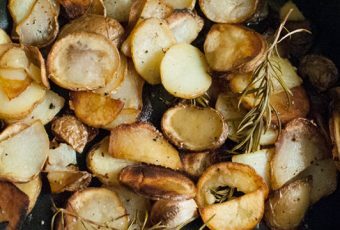 Stir in the butter and mix with your hands, unravelling the dough to create crumbs, and finally incorporate the pine nuts if you want. 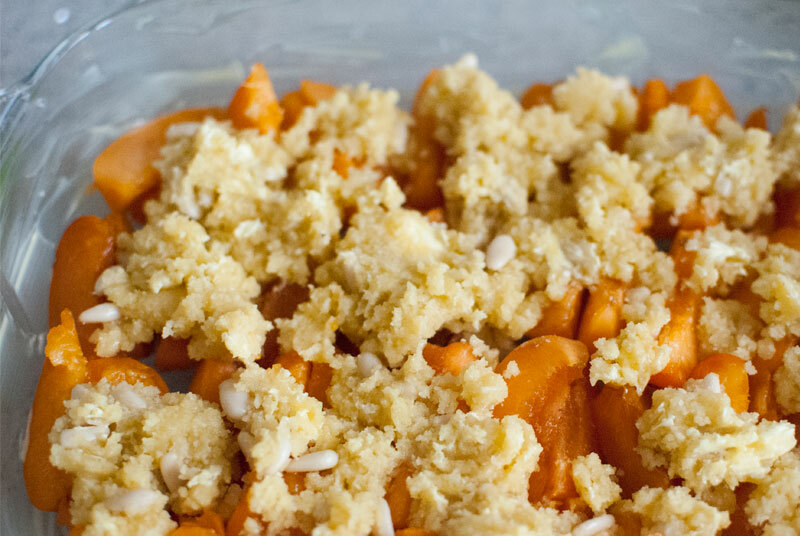 Place half of the apricots in the cake dish, skin down, cover with half of the crumbs and repeat one more layer of each ingredient, finishing with the crumbs. Serve the crumble in the dish cake once it is cooled down, alone or with ice cream.